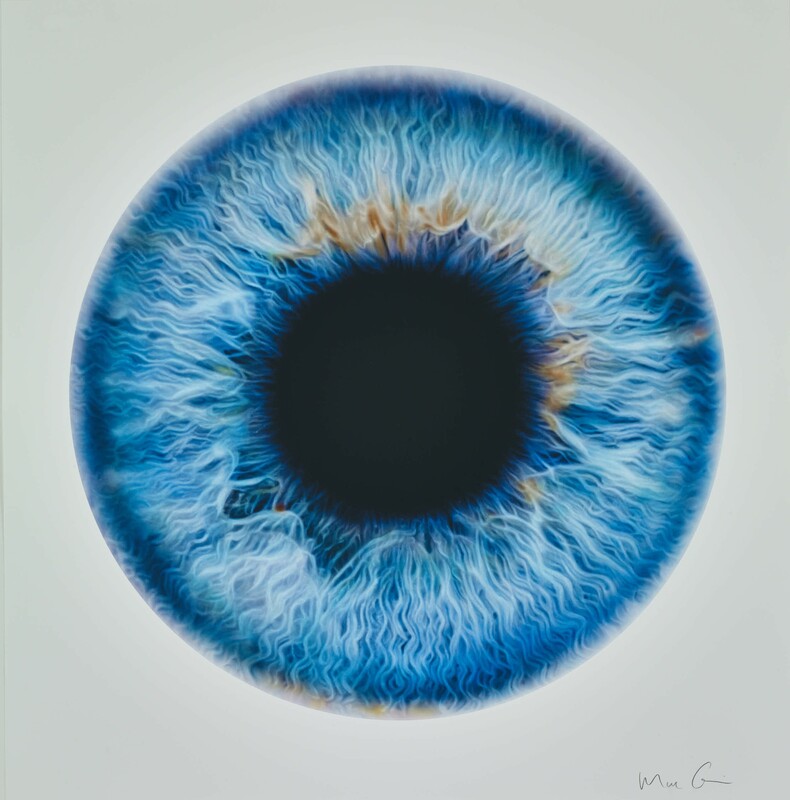 Quinn's original 2009 Iris paintings were subtitled 'We share our chemistry with the stars', and the Iris series reflects his abiding theme in his work that, as humans, we are materially connected to everything else, extending to the universe itself. Quinn chose a digital printing technique for this piece to achieve its vibrant and varying high-definition colours. 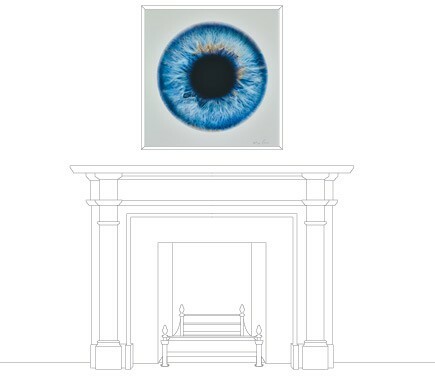 This image is printed on 330gsm Somerset Satin Enhanced paper, and hand-finished with a silkscreen printed glaze. Digital print with silkscreen glaze. Printed on 330gsm Somerset Satin Enhanced paper. Published by Manifold Editions 2017. Born in London (1964), Marc Quinn studied History of Art at Cambridge, subsequently creating sculpture in a challenging range of media. His early series of marble figures of people who have lost their limbs or were born with a disability culminated in a giant statue of a heavily pregnant Alison Lapper, a woman born without arms, on the fourth plinth in Trafalgar Square, London, in 2005. ‘Self’, a sculpture of the artist's head created from his own frozen blood, is equally uncompromising: first exhibited in 1991, there have been several iterations since. In 2014, the film ‘Marc Quinn: Making Waves’ revealed the extent to which Quinn’s work has become globally recognized and collected, coinciding with his preparations for ‘The Toxic Sublime’ at White Cube, Bermondsey, in 2015. More recently, Quinn has had a major installation of his sculpture in ‘Drawn from Life’ at London’s Sir John Soane Museum. The principle behind ink-jet printing was established over 100 years ago. Recent developments in piezoelectric technology have resulted in increasingly high-resolution colour prints. When subjected to an electrical charge, the piezoelectric crystal expands, forcing ink through an array of microscopic holes onto the surface of the paper or other surface. The resolution of the print is significantly enhanced if the paper is coated with an impermeable layer to keep the droplet on the surface. Until recently, ink-jet printers could only use dye inks, but improvements to the ink and print heads are resulting in pigment inks. These have reduced colour range but increased life-expectancy.